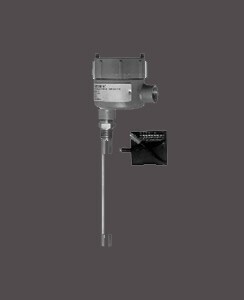 LL-107 Integral Interface Liquid Level Switch - HiTECH Technologies, Inc.
HiTECH’s Model LL-107 is an integral interface switch capable of detecting the interface of two immiscible liquids. It can also detect the interface of a liquid and settled solids. The discrimination occurs from the differences in physical properties of the liquids. The ultrasonic signal is attenuated in one liquid as compared to another liquid. A multipoint interface sensor version is also available. Requiring no calibration, the Interface Switch with its compact design and 3/4” NPT mounting is unbelieveably easy to install. The miniaturized, encapsulated and totally sealed electronics, housed in a cast aluminum, explosion proof, watertight enclosure is designed to provide many years of maintenance-free service.